Over 10 million Medicare beneficiaries have opted to enroll in Medicare Advantage (Part C) programs, which allow them to seek medical coverage through private insurance providers. Another option for those who want private insurance are private fee-for-service (PFFS) Advantage plans. The United States government pays insurance companies to manage PFFS health care plans. Although PFFS Advantage plans are growing in popularity every year, PFFS plans are not available in all areas. The fee-for-service basis of PFFS programs differs from the managed care focus of other Medicare Advantage plans. Unlike HMOs and PPOs, you are not restricted to a network of doctors, specialists, and hospitals within a PFFS. Rather, you can pick any Medicare approved health provider as long as it accepts the payments of your PFFS plan. You also do not have to select one network primary care physician and can receive care from any specialist or provider who accepts the terms of payment. Emergency care is an exception from the terms of payment: you don't need prior approval from your PFFS and can receive emergency care anywhere in the United States. Some PFFS services offer additional benefits, like prescription drug coverage. If you receive prescription drug coverage, you must use your plan's coverage and cannot use a separate plan. If your plan does not cover medication expenses, you are allowed to purchase supplementary drug coverage or change your plan. Prescription drug coverage and other benefits fluctuate from plan to plan. Overall costs can also vary among private fee-for-service plans. Medicare does not limit the premiums or copays charged by a PFFS, and you may need to share some payments with Medicare. In some cases, PFFS plans can be more expensive than HMO or PPO plans, but in other cases PFFS plans can be less costly. If your plan has additional benefits, private fee-for-service options can charge premiums, deductibles, copays, and coinsurance. Others allow health care providers to charge more than what the PFFS will pay, and you would have to pay a percentage of that extra charge. Remember, you are still required to pay your Part B premiums even if you enroll in a PFFS plan. 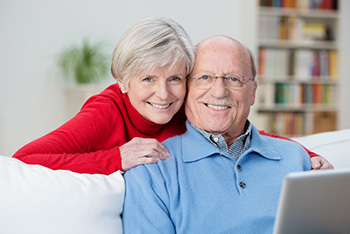 As long as you are entitled to Part A hospital insurance and are currently receiving Part B medical insurance, you are eligible to enroll in a Medicare Advantage PFFS plan. You must live in the service area to qualify for PFFS coverage. You can enroll in a private fee-for-service plan even if you have a preexisting condition, except for end stage renal disease.